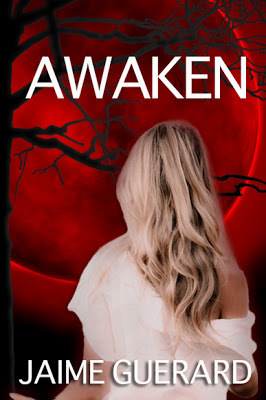 Check out the new cover for Jaime Guerard's Awaken, the first in her new YA paranormal series. I actually think I like the old cover better. The new cover makes me want to read it without even reading the synopsis. I have a cover fetish, I think. LOL. I like the new one. The clock numbers on the eye are a neat touch. I like the new cover better. It just speaks to me louder and it looks creeptastic! I love the new cover! The old one just screams "indie" to me and isn't very professional. Plus, love the clock in her eye! I really like the new cover, and a lot more than the old one. I love the new cover!! I thought the old one needed a little work. The girl didn't really blend well. The new one looks very clean and well done. I love the clock on the iris of her eye!